Is Crowe BGK The Right Fit? Founded in 1950, Crowe BGK is a leading accounting firm operating in Montreal and Ottawa. We help our clients succeed in their businesses by providing innovative solutions and the guidance that they value. "Through relationships and analysis emerge new possibilities, by paying attention to details they develop into opportunities." "You have to make things happen, not wait for things to happen." "Go for it! Do not wait for the perfect moment, it may never arrive." Buying, selling, financing or valuating your business. Your business might be eligible for government grants and tax credits. We are Tax Experts. Discover how we can help. Are you subject to tax on packaging? "...Through their quality professional services, Crowe BGK helped us grow our company from 30 to 200 employees during that same period, while maintaining cordial relationships with all stakeholders." Daniel Laporte President, Laporte Consultants Inc. "...Whenever I have a problem, they give me a solution. Their extraordinary services facilitate my work and save me precious time..."
"Le Groupe Vespo has always benefited from Crowe BGK’s valued advice that has aided us during our company’s entire existence." 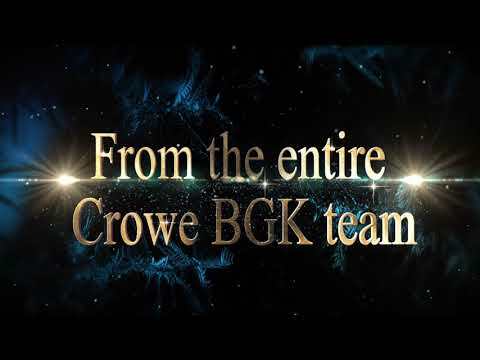 "Crowe BGK was and is the “sober second thought” source that every entrepreneurial enterprise needs and we were lucky that they were there for us these many years." Peter Monk President Emeritus, Paris Glove of Canada Ltd.